from our website! Click here. 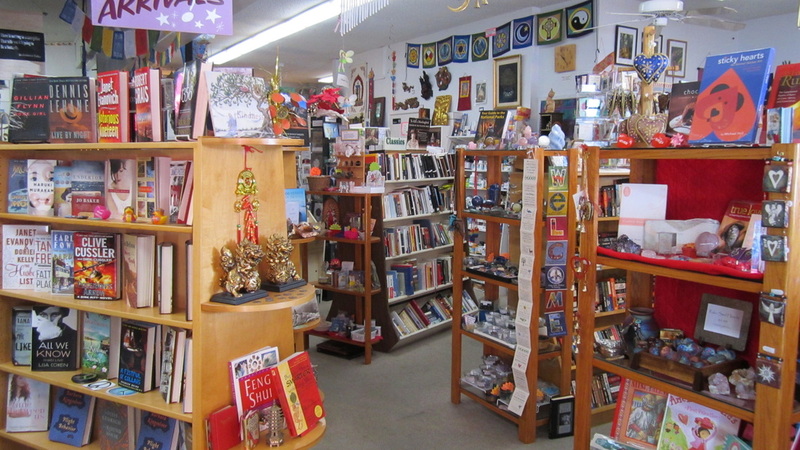 We are a small store and have made it our goal to carry as wide a variety of books, gifts, jewelry, spiritual and holistic supplies as will fit within our walls. The moment you walk through our doors you are greeted with lovely scents and visual pleasures. The more you explore the more you will be amazed. We have listed a small part of our inventory for you to browse through on these pages but browsing through the store is much more fun. 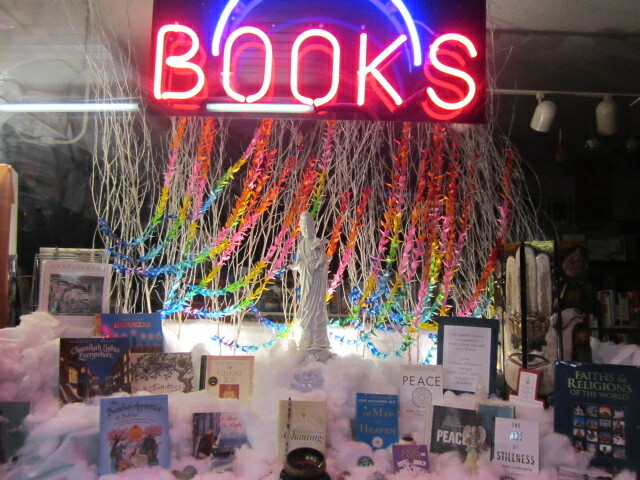 We are not an adult bookstore (due to our name some have made that mistake) but we do have a wonderful lively dance of the pleasures of the mind and spirit. helping you to discover new ones. Please go to http://www.youtube.com/watch?v=hq66ox0hPRM to meet the owner, Carroll Leslie and hear her talk about the store and what it is like to own an independent book store these days.